When I first started investing in a 401(k), I was really confused by all of the options. Growth, aggressive growth, equity income, balanced…argh! I didn’t know the difference between any of them, and I had to make a choice fast. Thankfully, understanding the investment models in a 401(k) does not have to be as difficult as it first appears. Let’s take a look at the many different types of models. First things first: before you can decide which allocation model is best for you, you might need to know what an allocation model is. Basically, an allocation model in any investment is a tool that can be used to invest in many different securities, allowing the investor to tailor the 401(k) (or other investment) to their own risk threshold and goals. Okay, so what does that mean? Let’s break it down a little more. So when you sign up for your 401(k), you will be given many options for the places you want your money to go. You could sit at your desk and research every company or stock available for investing in and then choose a bunch of your favorite options to make up your own portfolio. Or you could choose one of the allocation models that match your goals; these models will invest your money in multiple companies/stocks that the bank/investment firm has determined best match different classes of risk. What are the Different Models/Risk Classes? Each investment firm names their own allocation models differently, but generally they all fall into three main categories of risk: equities or stocks (high-risk), fixed-income or bonds (medium-risk), and cash and equivalents (low-risk). Often, the models will use some of each type of investment (stocks, bonds and cash) to make a whole allocation model. For example, if you choose the Aggressive Growth Model, the portfolio will be mostly stocks (and these stocks will generally be higher risk stocks). However, if you choose the Growth & Income Model, the portfolio may consist of a balanced amount of stocks (in lower risk companies), bonds and cash. Now that you know what an allocation model is, it still may not be clear which option is best for you, especially if your allocation models don’t clearly state if it’s high-risk, medium-risk or low-risk. If this is the case, you may need to make an appointment with human resources to go over each of the models. Once you know what risk category each falls into, you must decide which risk is best for you. Generally, when you’re younger, you can handle more risk because if you did happen to lose money in the market, you have plenty of time to make it back. As you get older, you’ll probably seek lower risk allocation models. However, this is not always true; your tolerance for risk is as individual as you are, so if you prefer lower risk even when you’re younger, that may be the option for you. Overall, allocation models can make 401(k) investing a little more user-friendly. Choosing a model rather than researching every single company that could make up an individualized 401(k) portfolio could be a major time saver that may help you avoid numerous headaches. Of course, if you prefer to choose individual stocks on your own and make your own portfolio, then that may be a better option for you. 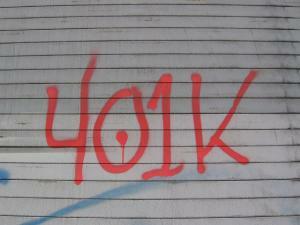 The beauty of 401(k)s is that they can be as general or individualized as you wish. Nice. Financial math is one of my hobbies, and it is quite difficult to explain asset allocation without getting too technical, but you did it! One thing we always hear is that the older you get the less risk you should take. The reality is a bit nuanced. You get paid for risk. Risk is both upside and downside, so taking on risk lets you get paid more but the returns are likely to be more up and down too. The thing is that if you start really young then you don't need to take much risk to become a millionaire by retirement. If you find yourself in your 30s or 40s without retirement savings then you need to go risky to get enough money. In my opinion, one should put in more effort into picking an allocation model rather than picking individual stocks. It would be unwise to pick an aggressive model during your golden years. Alex, great tips about risks. I followed the 100 minus age rule. In my 20s, I invested in high risk stocks, and when I turned 30, I changed to mid-risk. MoneyCone, very good point: aggressive models are usually an unwise choice if you are close to retirement.